There are no matches for your search. Please try again. The Brock Environmental Center was built by the Chesapeake Bay Foundation at Pleasure House Point in Virginia Beach, Virginia. Completed in 2014, it produces all of its drinking water from rainfall, uses 90 percent less water than a commercial building of the same size, and generates 83 percent more energy than it consumes. The Brock Center is the first commercial building in the United States allowed to treat and process rainwater to federal potable standards. In 2006, the Cascadia Green Building Council issued the Living Building Challenge (LBC). LBC is a holistic approach based on a simple question: How do you design and make a building so that every action and outcome improves the world? LBC has seven performance categories—Place, Water, Energy, Health and Happiness, Materials, Equity, and Beauty—that define what a living building is and does to benefit both people and planet. Living buildings should grow food, use rainwater, and protect habitat, for example. They need to incorporate biophilic design, satisfying humankind’s innate affinity for natural materials, sunlight, views of nature, and more. Living buildings avoid all “red-listed” materials, such as PVC and formaldehyde. They are required to intentionally educate and inspire others—building as teacher rather than container. When it comes to greenhouse gas emissions, living buildings make their greatest impact by producing more energy than they consume and offsetting all embodied carbon as well. LBC proves that, with the right investment and expertise, buildings can do more than simply be less bad. They can function like a forest, generating a net surplus of positives in function and form and exhaling value into the world. Leadership in Energy and Environmental Design (LEED): USGBC. “LEED.” http://www.usgbc.org/leed. Living Building Challenge; “petals”: ILFI. 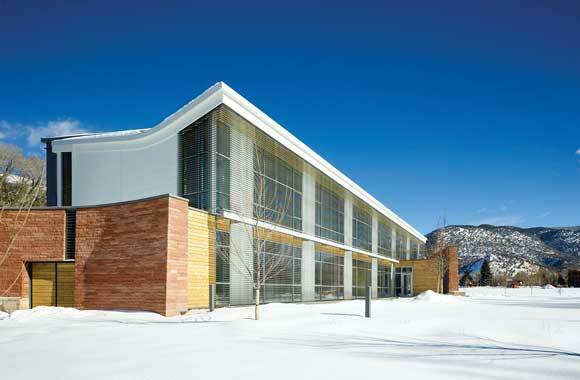 Living Building Challenge 3.1: A Visionary Path to a Regenerative Future. Seattle: International Living Future Institute, 2016.
buildings in various stages of certification: ILFI. “Registered and Certified Project Map.” https://living-future.org/lbc/basics/#buildings-around-the-world. cost of living buildings; provable return: Cowan, Stuart, Stuart Cowan, Brent Davies, David Diaz, Noah Enelow, Kevin Halsey, and Kathryn Langstaff. Optimizing Urban Ecosystem Services: The Bullitt Center Case Study. Portland, OR: Ecotrust, 2014; Graves, Richard, Amy Cortese, Ralph Dinola, Steve Clem, and Elizabeth Heider. Net Zero and Living Building Challenge Financial Study: A Cost Comparison Report for Buildings in the District of Columbia. Vancouver, WA: New Buildings Institute. restrictive building codes: O’Brien, Kathleen, Nicole DeNamur, and Elizabeth Powers. “Legal Hurdles Faced by Deep Green Buildings: Case Studies and Recommendations.” Washington Journal of Environmental Law and Policy 3 (2013): 125. Deng, S., R. Z. Wang, and Y. J. Dai. “How to Evaluate Performance of Net Zero Energy Building–A Literature Research.” Energy 71 (2014): 1-16. Hernandez, Patxi, and Paul Kenny. “From Net Energy to Zero Energy Buildings: Defining Life Cycle Zero Energy Buildings (LC-ZEB).” Energy and Buildings 42, no. 6 (2010): 815-821. Sartori, Igor, Assunta Napolitano, and Karsten Voss. “Net Zero Energy Buildings: A Consistent Definition Framework.” Energy and Buildings 48 (2012): 220-232. Today, however, there are more than 350 buildings in various stages of certification, encompassing several million square feet in two dozen countries. Want more information on Project Drawdown’s research methodology and models? Complete this form to contact the Drawdown Research team. What would you like to know about Drawdown’s research methodology and models? * Please note that, due to time and resource constraints, we may not be able to provide extensive information or data. A net zero building is one that has zero net energy consumption, producing as much energy, through onsite renewables, as it uses in a year. Insulation is one of the most cost-effective ways to make buildings more energy efficient—both in new construction and through retrofitting older buildings. Compared to walls, windows are inefficient insulators. Smart glass can respond to sunlight and weather, reducing a building’s energy load for lighting, heating, and cooling. Thermostats are mission control for heating and cooling homes. Smart thermostats use algorithms and sensors to learn and become more energy efficient over time. We would like to stay in touch with you. Please sign up for updates to discover ways you can participate in the work of Drawdown. Copyright © 2014–2019 Project Drawdown. All rights reserved. The Project Drawdown name and Drawdown logo are registered trademarks of Project Drawdown.